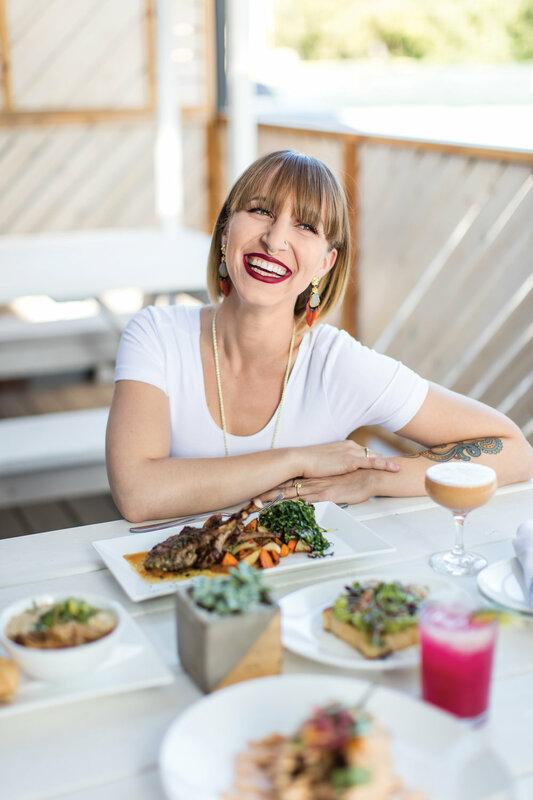 Naomi Seifter is someone who is passionate about intersecting experiences of divine intervention with entrepreneurship and food to assist in healing herself and others on similar health journeys. Through implementation of these practices, she can confidently chase her big dreams of shifting the food paradigm in the restaurant and CPG industry. Tell us the story behind @PicnikAustin. For about as long as I can remember, I’ve struggled with food sensitivities. Until I was 19 years old, I couldn’t figure out what caused bloat, stomach pain, and the myriad reactions I had to food (especially at restaurants). Around that time, my grandfather mentioned that my grandmother had Celiac disease, and when he showed me a checklist of the symptoms associated, it was as if a lightbulb went off because I finally had some insight into how to heal my gut. During my teenage years and early twenties, I worked in the restaurant industry, so hospitality was second-nature. However, I had eliminated so many different foods from my diet that it became impossible for me to eat out, which led to the idea to start a restaurant that catered to other people like me. My original intention was to open a food truck called ‘Pressed & Squeezed’—pressed for French press coffee, and squeezed for fresh-squeezed juice. Everyone I had talked to about it hated the name, and the branding just wasn’t coming together, so I took it as a sign to pivot. 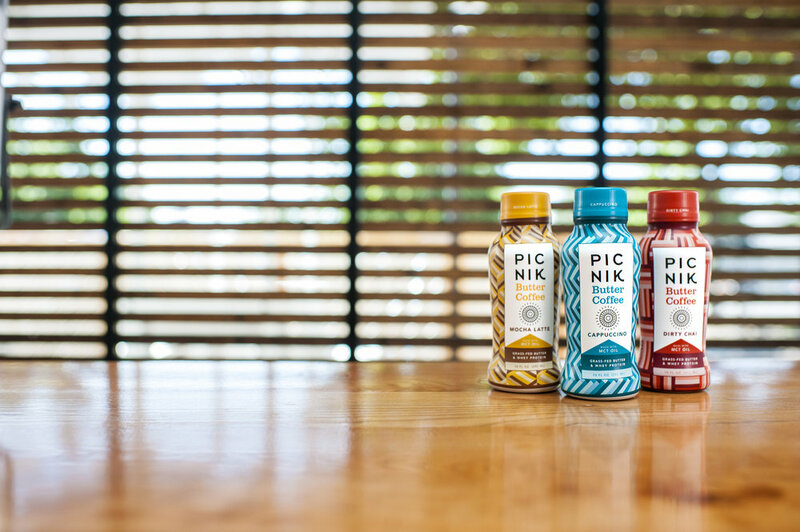 Our first location (the one on South Lamar) always had people saying, “This looks like the perfect place for a picnic!” and that’s what inspired the new name. I curated a menu of flavored butter coffee and had a fridge full of grab-and-go food items that were typically paleo compliant. As time passed, we acquired a group of regulars who began asking for a way to access their beloved butter coffee when they were traveling outside of Austin. This—along with interest from local retailers requesting we produce a ready-to-drink beverage—is the reason we have our bottled butter coffee line. I was fortunate that another couple of regulars, the founders of Epic Provisions, introduced me to the person who is now my business partner, Cameron Smith. Cameron encouraged me to expand into the brick-and-mortar business, as he had faith in the brand and our ability to offer a better ‘restaurant’ experience than what we were providing at our trailers. Building our restaurant concept has been a dream come true, and I’m thrilled that we have been able to create a space that redefines health-fare by sourcing with integrity and making it flavorful. Additionally, it is modification-friendly, which ties into my original intention of serving people who are working through a food journey of their own. Our restaurant allows us to serve customers who are vegan, paleo, gluten-free, sugar-free and beyond. The beauty is, however, that we make our food taste great so that you can enjoy our offerings, regardless if you have any dietary restrictions or not. "It was as if a lightbulb went off because I finally had some insight into how to heal my gut. [...] I had eliminated so many different foods from my diet that it became impossible for me to eat out, which led to the idea to start a restaurant that catered to other people like me." Picnik is famous for the Butter Coffee. Where did the idea come from? My mom is a doctor, and she exposed me to the idea of integrating healthy fats into my diet to curb my appetite and make me feel satiated throughout the day. I followed some suggestions that I found in regard to adding grass-fed butter and MCT oil into my coffee. Although that combination was very functional, I thought it was boring to drink. I felt like it was the perfect creamy platform to add adaptogens, superfoods, protein, sweeteners, and so forth to elevate the experience while getting the feel-good benefits of the product. What’s your advice for someone whose New Year’s Resolution is to eat healthier? Start by buying single ingredient foods. Fresh fruit, vegetables, nuts, seeds (but not dry roasted with spices and oils), meat, legumes. Rather than opting for something in the prepared foods section, buy whole foods in their purest form and then try cooking for yourself using that. You’ll see what a difference it makes. Making an impact in my circle of influence and providing a service and solution for people that positively improves their life. I want to provide good people with jobs and have a work-life balance—being able to prioritize my own self-care while running a business. You’ve found success at a young age-- you go, girl! What advice would you give to other entrepreneurs on how to get started and keep up their momentum? Identify what it is that you’re really passionate about, and then figure out how to share it with others in a way that makes people's lives easier and brings joy. Answer the question: How can you provide a convenience in the areas that you’re passionate about? Then, figure out how to do it in a creative way. Be willing to bend and pivot when you hit walls or plateaus. Do you have any upcoming events, releases, campaigns, etc. that you're excited about? We are expanding our retail business with two new locations, and rolling out new products in our packaged goods line. Anything else you want to share with the atx&o family? I’ve lived in lots of places all over the world, but none compare to the community that Austin has. From the innovation in the food space, to the energy from entrepreneurs, to progressive nature of the city, to the positivity of the people—it feels like home. Learn more about Picnik at picnikaustin.com & follow them on Instagram @PicnikAustin to keep up with the latest.